Naturally everyone wants as much from life as they can. However making the most of opportunities is no arbitrary matter. Financial affairs need to be carefully planned to achieve lifestyle and financial goals. 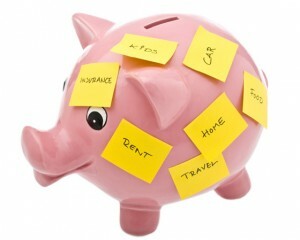 Whether aims are short term or longer term, a strong financial plan examines all financial aspects of life – cash and debt management, savings, investments, retirement needs, asset and tax planning, life and loss of earnings insurance, risk management – and organises them in a manner that provides for individual needs and makes the most of personal resources. Such planning is no simple task. The investment market is complex and changeable, with new products and options offered regularly. Objectivity is also vital. Attending to such matters requires time, skill, experience and professional expertise. We operate as a team so our clients benefit from our combined expertise and the expertise of a number of professional companies that we have close working relationships with. We are members of DNA Advice which has 36 professional advisers and firms located throughout New Zealand. The Financial Planner members of the team at Financial Advice Hawke’s Bay Limited are Authorised Financial Advisers. This means they have been authorised by the Financial Markets Authority (the government agency that monitors financial advisers). They must comply with the code of Professional Conduct for Authorised Financial Advisers. They are also governed by a strict Code of Ethics and assessed by the Institute of Financial Advisers (IFA) – the industry’s professional body – to ensure they meet stringent standards of character, education, experience, business practice and disclosure of information to clients. You can depend on us to create opportunities for your success – and to do so in a manner that is ethical, effective, accountable and totally confidential.